Luxury sports car brand Aston Martin has moved out of the red and confirmed it would consider a stock market float. The Warwickshire-based manufacturer said pre-tax profit hit £87 million in 2017, up from a loss of £163 million in 2016, making it the first time it has posted an annual pre-tax profit since 2010. It also welcomed record revenue of £876 million, up by 48 per cent the previous year. And chief financial officer Mark Wilson said the company was looking at a range of options for the group, including a possible initial public offering after rumours started to circulate about a flotation at the turn of the year. The company sold 5,098 vehicles during 2017 in its wholesale markets which it said was its highest full-year sales volumes in nine years, driven principally by rising demand in North America, the UK and China. Global retail sales increased by 58 per cent to 5,117 units up from 3,229 units in 2016. Chief financial officer Mark Wilson said: "This has been another landmark financial year for Aston Martin, creating a solid foundation for future growth. "As part of our ongoing development strategy, we continue to consider a range of strategic options for the future of the group, including the potential for an initial public offering. "We remain focused on delivering our plans for 2018 and beyond." Under its &apos;Second Century Plan&apos;, Aston Martin is expanding its manufacturing footprint with the construction of a new plant in South Wales, due to open in 2019, and has resumed production of specialist models at Newport Pagnell for the first time in ten years. 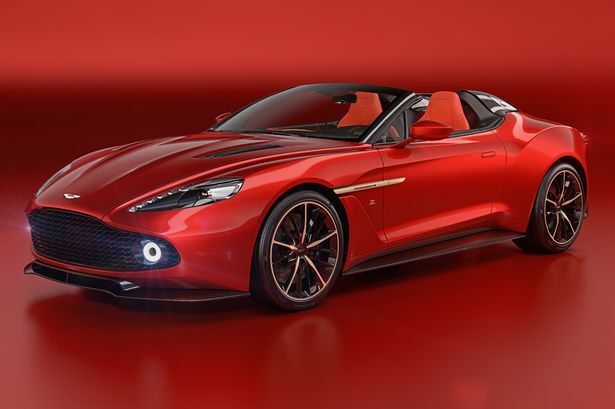 The group is continuing the extension of its product range with the launch of new models including the DB11 Volante and new Vantage and has begun deliveries of its limited-production DB4 GT Continuation model. Chief executive Andy Palmer added: "In 2017, we delivered record revenue, full-year profitability and positive free cash flow. "The financial turnaround of Aston Martin is now complete, which enables us to drive further improvements across the business as we maintain our new launch schedule and continue delivering on the Second Century Plan. "The outstandingly positive reaction to our new models gives us confidence that we will deliver further performance improvement in 2018."